Hello all! Sorry about the "no post" yesterday. I'm in a bit of denial....I've been trying to make Nathan's birthday invitations and am STUCK! I think it's because I don't want him to turn one so therefore if I don't make the invitations, the party won't happen, he won't be one.....doesn't that make sense??? Anyhow, I'm back!!! I've got a kit on the go right now. You have been asking for some potentially "manly" cards so I came up with this (although....I LOVE the colours and would freak out if I received one of these cards!) This will not be a class offered at my house rather a through the mail....or pick up class. You may be wondering....how does this work? 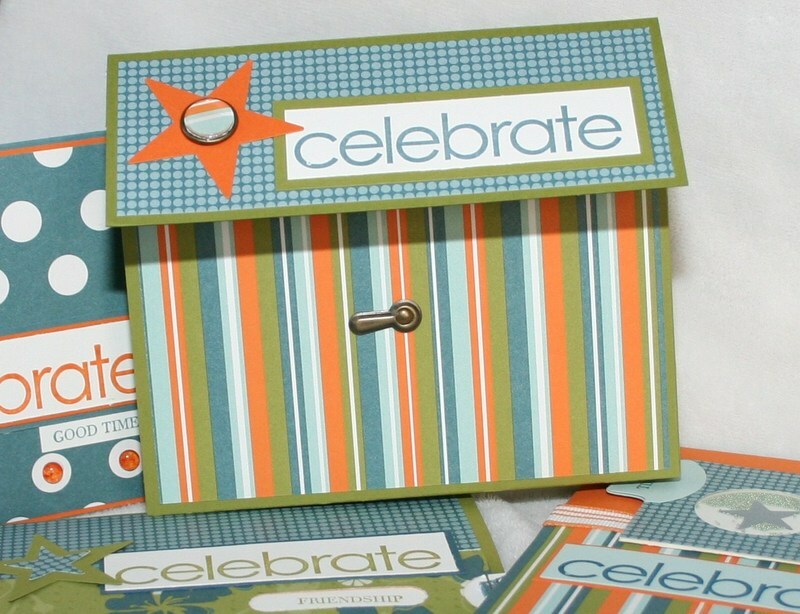 Cost: $35 which includes the stamp set celebrate everything (click on the word to see the set), the supplies for 5 cards and 5 envelopes. This kit is available for this price until Tuesday, March 11th. This card will also include some Dew Drops for you to try. 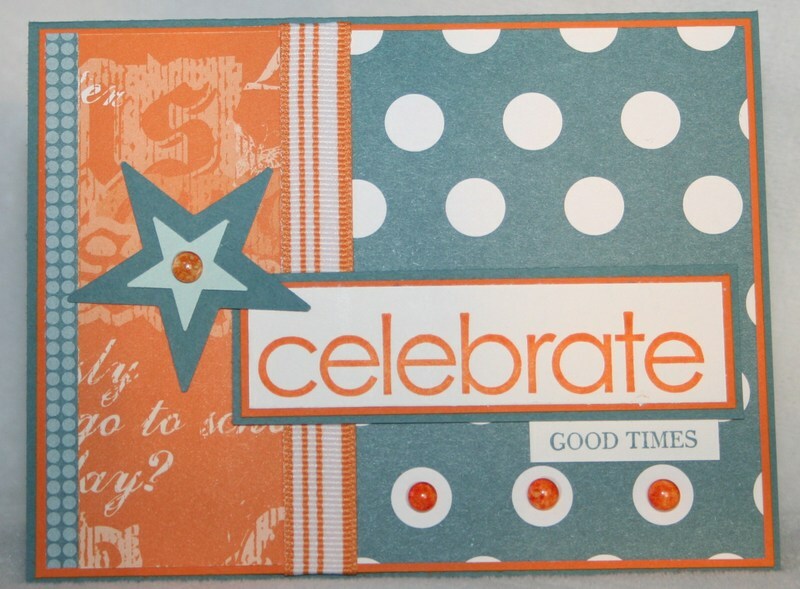 You simply use mini glue dots or Crystal Effects to adhere them to your project. 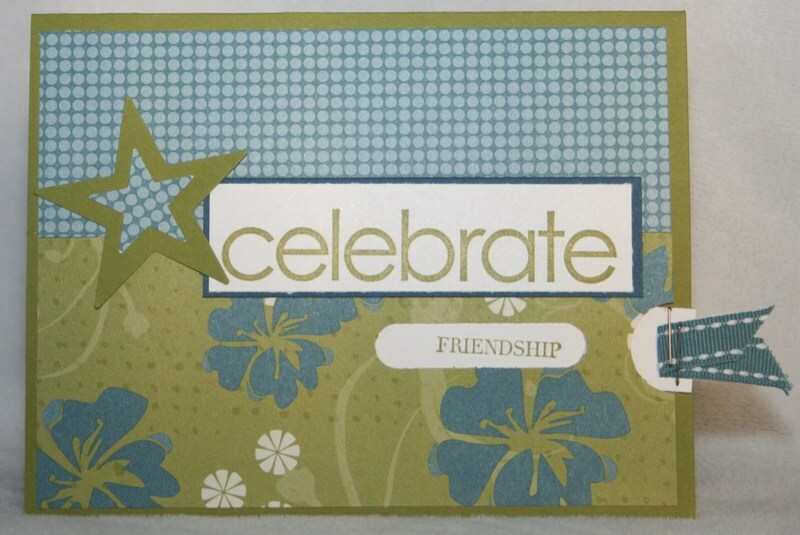 The other great thing about this set is you can easily switch up the words to go along with celebrate....such as "you", "friendship", "your day", "life" and a few more! 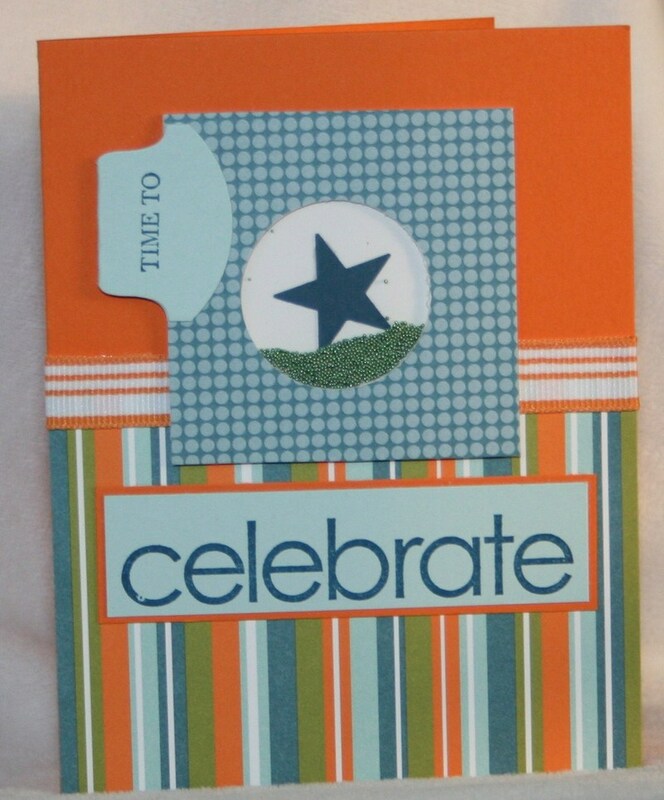 For this card, I will also be providing the micro beads, the complete instructions for a shaker card and all the supplies needed to make this. Aren't shaker cards THE BEST!!! I am hooked on them right now! 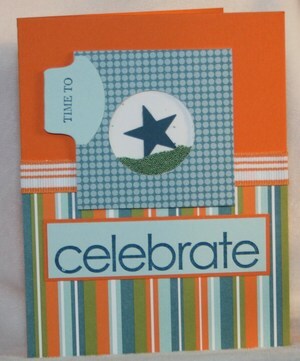 The ink colours used to make the cards are Pumpkin Pie, Blue Bayou, Not Quite Navy and Old Olive. 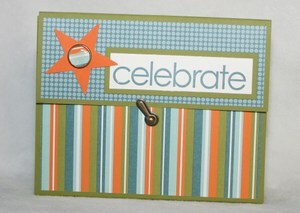 If you don't have any of these inks, I will offer them at 10% if you purchase this fun "Celebrate Kit". I will also offer the same discount on the large and small star punch (although I will punch them out for you for your cards you may want to remake some of them!) 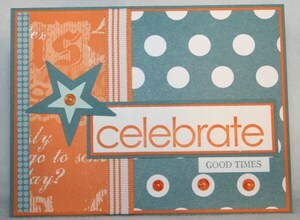 Same deal on the SUPER FUN scrapbo ok paper!!! 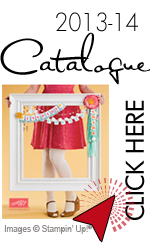 Each of the cards that you will make in this set have "something" either new or a bit "tricky" about them. 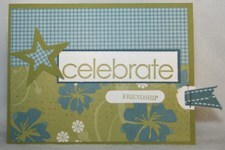 For example, a shaker card, using dew drops and this card is a moving card. 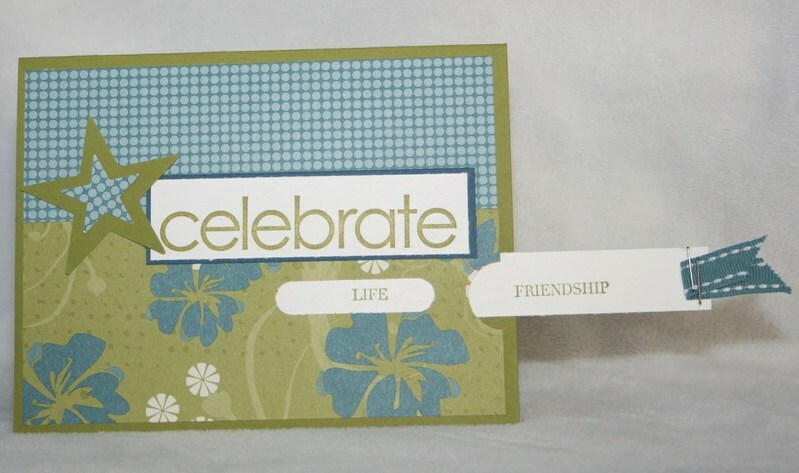 The word "friendship" is actually on a slider and when you pull it out you can also read celebrate you and celebrate life! 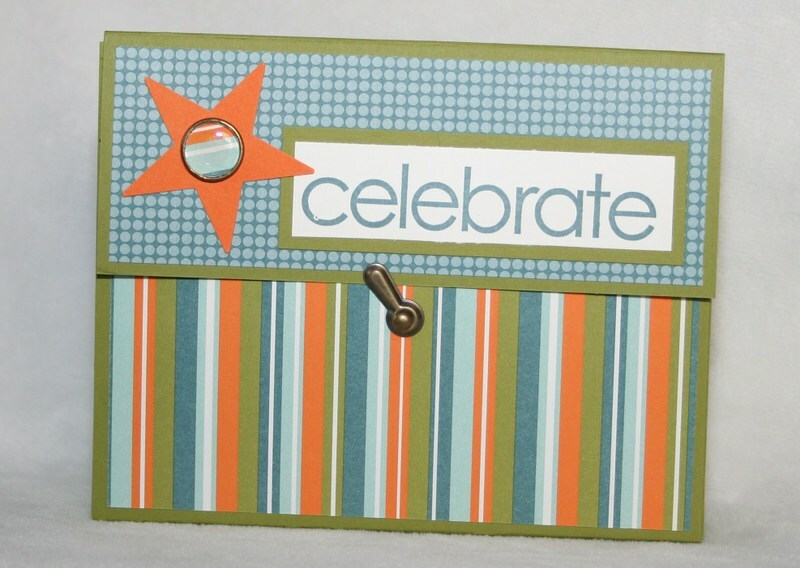 I am not going to show the other two cards....I need to leave something as a surprise for you! If you are interested in ordering one of these kits and live in Canada please email me at adamsum@yahoo.com . Have a great night! 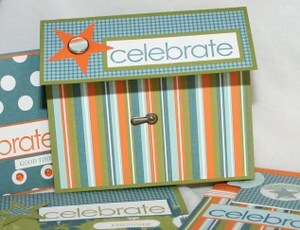 Love the cards, love the colours, love your offer. Joan. Great cards Heather!! I wish that denial thing worked, my "baby" is going to be 4 on Easter Monday:( TFS. those cards are fabulous! Great job. These cards are adorable! I do love that paper. It is perfect for doing a manly card!